We believe the smartest solution to a problem is usually the simplest one, which is why we designed the Smart:System – an intuitive, competitive solution to streamline warehouse, DC & 3PL logistics and transform almost any store into a highly efficient click and collect location. The Smart:System combines the Smart:Drive, a compact power assist that is designed to tuck under & instantly hitch with the Smart:Rack, a configurable order fulfillment or restocking cart – creating an ergonomic and drivable solution for market aisle pick and pack, or DC order picking. Whether your strategy is fulfilling from a DC or using your existing infrastructure to deliver goods the last mile, the Smart:System bridges the gap between manual processes and full automation, to optimize your infrastructure and enable efficient order fulfillment. This cobot system delivers the best of automation and human power, reducing the stress of labor-intensive order picking and creating a streamlined and versatile fulfillment process. The first of its kind, the Smart:Drive is a multi-use, low profile power drive system. Designed to tuck under and securely hitch with carts and trolleys – The Smart:Drive transforms your fleet of manually propelled carts into powered carts at a fraction of the cost. 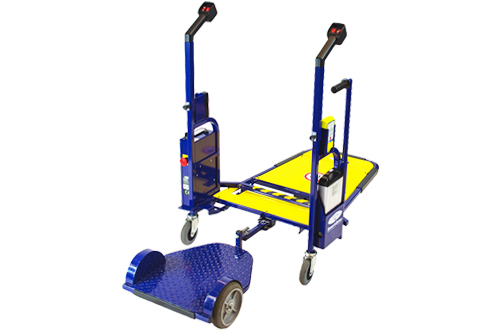 With instant hitching and fast foot pedal release your team has the ability to ride, drive and guide heavy carts safely and efficiently for effortless materials handling. The Smart:Rack is a high volume order picking & replenishment solution designed to increase the efficiency of order fulfillment and replenishment tasks, while decreaseing the risk of strain related injury. Designed with a heavy duty steel frame, and adjustable shelves, the Smart:Rack is the only pick & pack solution with mid wheel, dual drive maneuverability. The Smart:Rack features include instant hitching, interchangeable rack space & overhead storage. The Smart:Drive powers the Smart:System as a multi-use, independent platform. Quality design specifications include a high capacity electric motor rated for 440 lb continuous load, custom transaxle, and a swappable power source. Market-leading safety features include programmable current control, remote operation, keypad lock/unlock, and Automatic Dynamic Braking. 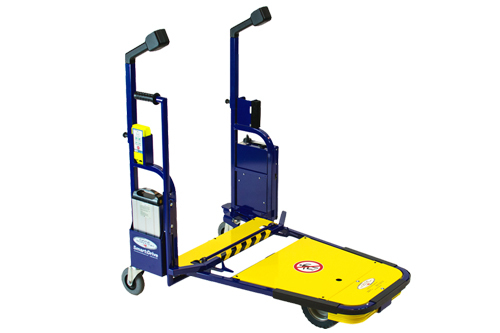 When operating independently of the Smart:System, the Smart:Drive is designed to safely maneuver up to 20 flatbed carts or trolleys while increasing flatbed cart return productivity 100%. Available attachments allow the Smart:Drive to push or pull almost any wheeled load, and for further efficiency returns, an optional ride-on platform can be utilized independently or with the Smart:System. When the Smart:Drive is combined with the Smart:Rack, the Smart:System delivers outstanding safety and productivity returns in streamlined order fulfillment. The optional sulky attachment allows operator to ride behind the Smart:Drive, reducing fatigue and increasing productivity. Intuitive steering and ergonomic controls make managing carts & trolleys effortless. The Smart:Rack is an ergonomic trolley designed to increase efficiency of order fulfillment and replenishment tasks, while decreasing the risk of strain related injury. Key features include our unique center guide wheel system, that enables a minimum turning radius. 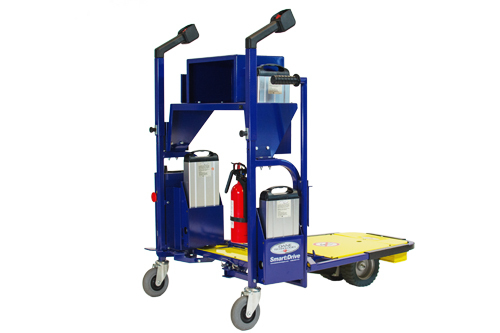 The guide wheels automatically disengage when coupled with the Smart:Drive, or they can be manually raised enabling easy positioning via four swivel casters. The Smart:Rack 1500 is our large order picking and replenishment solution for use in warehouses & distribution centers. 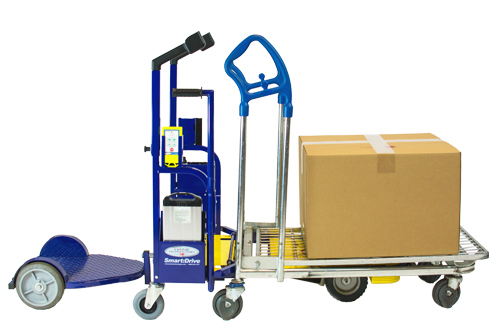 Unique center guide wheels deliver exceptional maneuverability and ergonomics for streamlined order fulfillment. The Smart:Rack 900 “Market Hall” is a compact, efficient solution for order fulfillment or replenishment in narrow aisle environments.